From the Lewis and Clark Scenic Overlook and other sites on the property, it is possible to view evidence of ice age flood activity. 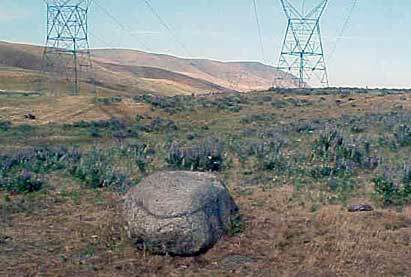 Maryhill’s Lewis and Clark Overlook contains an ice-rafted erratic that originated in the Bugaboo Glacier on the Purcell Mountain of Southeast British Columbia. One of several to be found on the museum property, it was relocated from a site 891 feet from the river approximately a quarter mile east of the museum.